Paypack is an enterprise resource planning (ERP) system designed for project-based small and medium-sized businesses. It has industry-specific capabilities for professional services, government contractors, distribution, construction management, and other vertical markets. 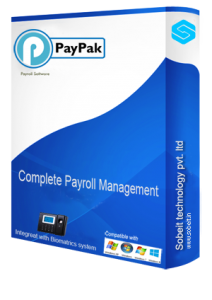 Paypack is well-suited for businesses with fewer than 1000 hundred employees.Paypack has applications for financial management, business intelligence, collaboration, field service, IT management, and project management, as well as a business portal application. Paypack utilizes Windows and .NET frameworks with the advantage of sharing Microsoft as a common developer. The system can be deployed on-site, or it can be hosted to add services like online training and support. The application runs on the Microsoft SQL Server database platform.